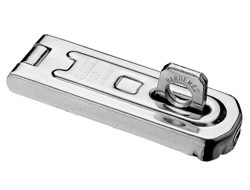 This hasp can be used with any traditionally shaped padlock. 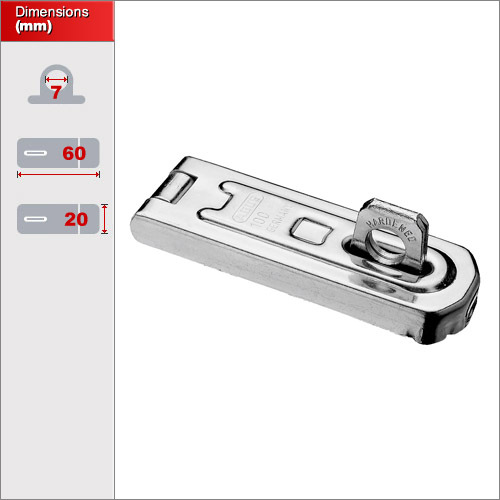 However, since it is designed with a horitzonal pin, when the unit is fixed vertically (at the top of a door or lid facing downwards) then it is ideal for any type of padlock including the diskus and straight shackle types. It is made from hardened steel making it highly resistant to sawing and cutting. Although it is highly resistant to the weather and suitable for outdoor use it will not be suitable for regular exposure to salt water. It comes supplied with all necessary screws and fittings. 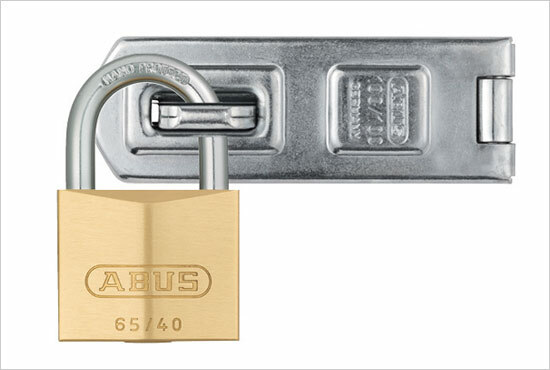 We have two sizes in this range which are suitable for different padlock sizes. The 60mm is suitable for padlocks with a shackle up to 6.7mm diameter, the 80mm up to 9.2mm and the 100mm up to 11mm diameter. Ensure that you select the correct size for the padlock you have.